On November 6, 2014 Jesse’s Journey was proud to officially dedicate Jesse’s Garden. Located in Jesse Davidson Park in London Ontario, Jesse’s Garden is a celebration of the life of Jesse Davidson who passed away in 2009, as well as many of the other children and young adults we have lost who bravely faced Duchenne muscular dystrophy. 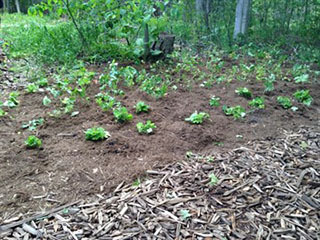 The garden was planted in partnership with students from Saunders Secondary School – Jesse’s high school. The students designed and planted the garden, ensuring that only plants native to this area would grow in Jesse’s Garden. Click here to see photos of the dedication of Jesse’s Garden on November 6, 2014.